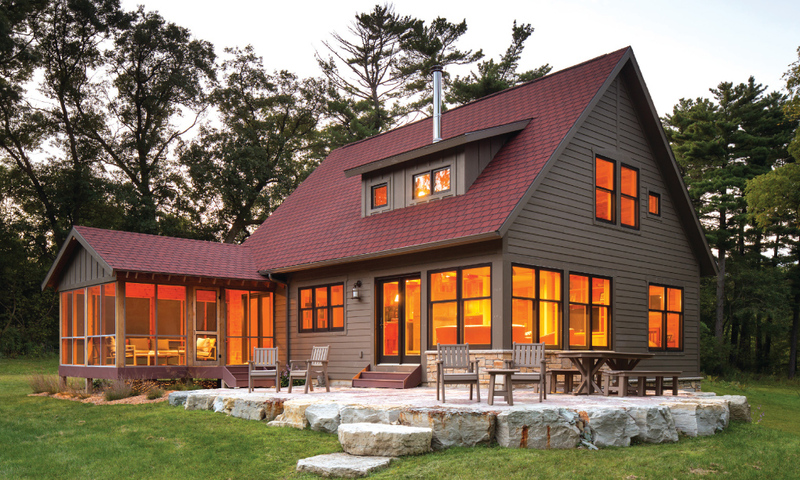 Above: “I love where my clients take me, places I would never have gone myself,” says architect Dale Mulfinger. Photo by David Bowan. A wise cousin, he continues, persuaded him to try architecture at the University of Minnesota. Why not? he thought. “I had the good fortune of entering the U thinking I’d fail,” he says, with Midwestern modesty. 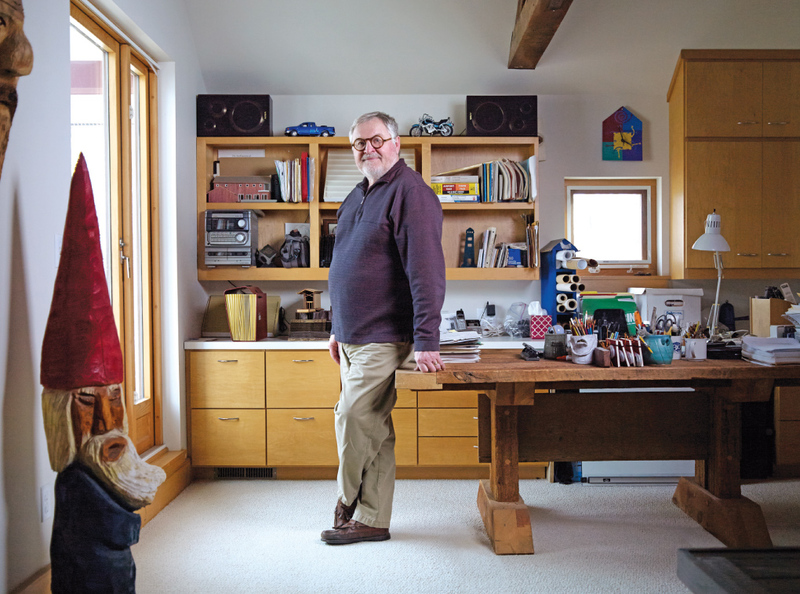 “Then when I’d get a ‘C,’ just passing was amazing.” But he fell in love with campus life and enjoyed the camaraderie of faculty and students in the School of Architecture, where dean Ralph Rapson was spiritual leader for decades. Mulfinger was fascinated with the design of cities, and his thesis project was an urban complex on Cedar-Riverside in Minneapolis. But urban design was “fraught with the whims of politics,” he explains. “You couldn’t quickly see the fruit of your ideas.” Thus his segue into residential architecture. Above: A first sketch in the snow at the site of the Island Retreat on Lake Superior was the basis for the design of the 100-foot wall and upside down roof. Photo by Don Wong. 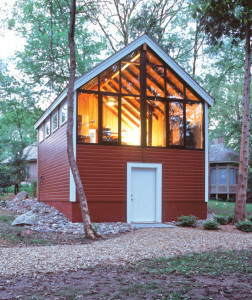 Left: A barn-style cabin in the woods, designed by Mulfinger. Photo by Dale Mulfinger. The rest, as they say, is history. Today, Mulfinger and Susanka are both icons in residential design: mentors, authors, speakers, and thought leaders, as well as architects. Susanka moved on to North Carolina and built her own firm around her “Not So Big” books and philosophy. 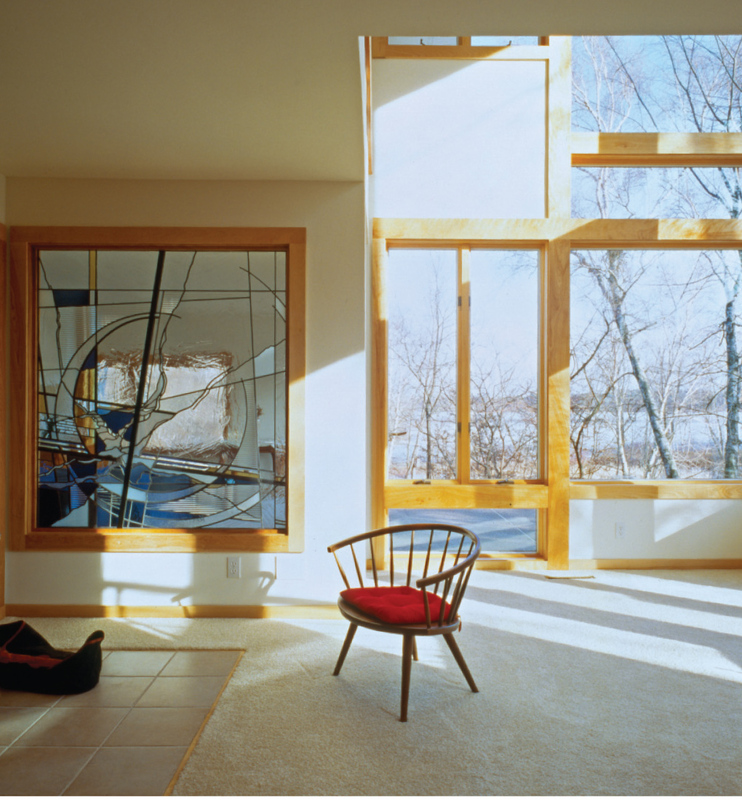 Mulfinger is principal emeritus of the design firm, now SALA Architects Inc., in Minneapolis and Stillwater. He remains both a mentor and teacher at the firm, long an incubator for local architectural talent. SALA is organized like a law firm in which architects share resources and expenses, but have their own clients and projects. Mulfinger also was an adjunct architecture professor at the university, where he taught a course on cabin design. That course laid the groundwork for his reputation as a cabin expert. Above: A quaint cottage along a meandering trout steam in southeastern Minnesota. Photo by Troy Thies. Intrigued with Lundie, who designed homes, cabins, and the Snyder Building at the Minnesota Landscape Arboretum (where Rapson gathered the architecture faculty annually), Mulfinger began researching the then-unsung architect. He had his students “look for Lundies,” he says, along with the staff and builders who had worked with Lundie. Eventually, Mulfinger had his first book. 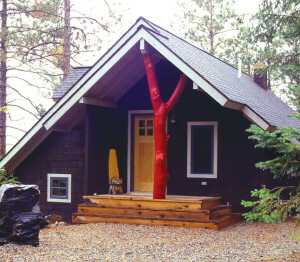 Left: Mulfinger’s own cabin with its memorable entrance. Photo by Dale Mulfinger. Left: A passive solar cabin that features a river panorama. Photo by Peter Kerze. 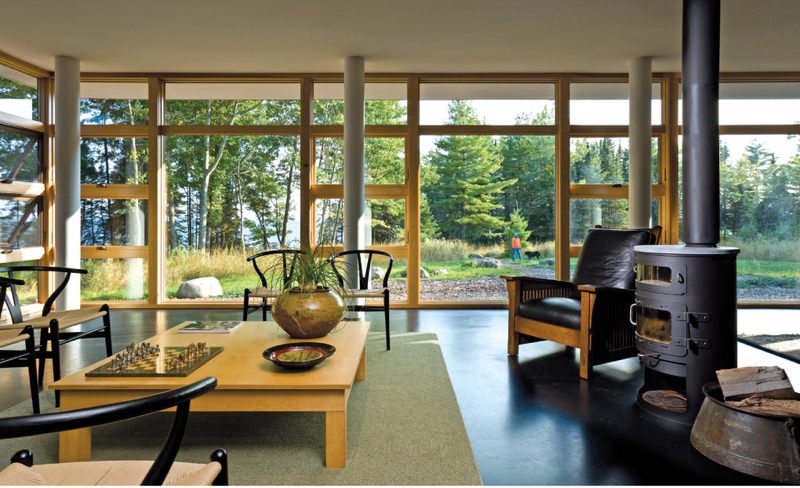 Above: The breathtaking view of Lake Superior from the Mulfinger-designed Island Retreat. Photo by Don Wong. Minnesota Modern, where a warm coat is more important than exposed bones. Linden Hills, where I’ve lived for 40 years. The interior of St. Paul City Hall, with the “Vision of Peace” sculpture by Carl Milles. Building: Thorncrown Chapel by Fay Jones. Villa Savoye, where I had the opportunity to sit one morning in a Corbu chair and read an essay on the building by my friend, Lance LaVine. The next one a client challenges me with. Architects have difficulty with the words “trends” and “styles,” as we search for essentials and timelessness. Bark siding, bonderized steel, and anything local or recycled.